A daredevil schoolboy hanged himself in a “horrible mistake” after he experimented to see how Hollywood legend Robin Williams died, an inquest heard. Temidayo Joseph, 16, died in his bedroom just hours after collecting his GCSE results. The talented footballer was found slumped in a seated position on the floor by his mum Kate with his school tie around his neck. 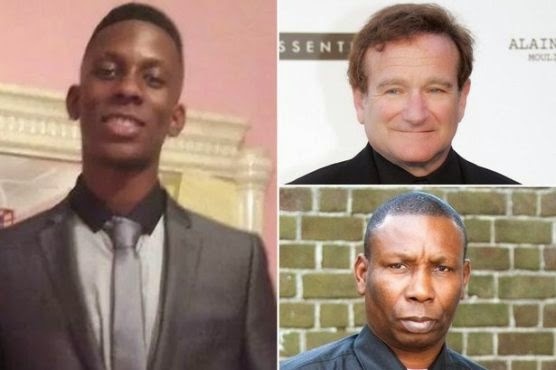 An inquest heard in the days leading up to his death the “lively and popular” youngster had spoken with a cousin and questioned why the famous actor would have wanted to end his life. “Temi had said ‘I don’t understand why somebody would do this to themselves’. “I do wonder if this bright, little boy... perhaps he was just experimenting to see how Robin Williams killed himself, but with no intention of doing it himself. “We know it’s incredibly easy to hang yourself from a sitting position. “It’s perfectly possible that he did not have any idea how easy it is to hang yourself by mistake.